Eon Musk confirms another very important outcome of his Tesla Gigafactory plan. It will not only reduce the cost of existing batteries by 30% and allow Tesla Model E launch with 200 miles range and price tag of 35k, but also Tesla Model S and X can get the better quality Lithium Battery packs for up to 400 miles range. Once "affordable" Electric Car can go over 300 miles range the Electric Revolution will be happening for real. Will Elon Musk not only Occupy Mars, but save billions of lives in China and India on the way? 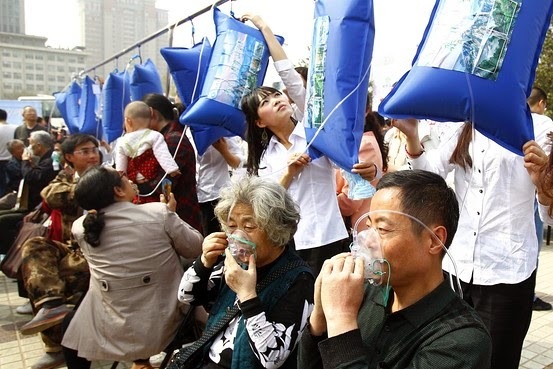 WSJ: Bags of Mountain Air Offered in Smog-Addled Chinese City. Chinese companies are already moving ahead and getting ready for this revolution in transportation. Tesla sends the main message that Lithium based technology is ready and Electric Cars are here to stay. Jack Perkowski gives us a very good overview of Tesla's purchase process in China and we will give a few links about the Lithium Industry as usual. "We are following International Lithium here with its strategic partner from ChinaGanfeng Lithium. Elon Musk with his Tesla Gigafactory has brought a lot of attention to the Lithium strategic commodity story and Asian companies are coming into the spotlight as well now. LG Chem is talking about building major Lithium battery plant in China and Lithium Materials Industry is getting the green light from the Chinese government in its efforts to curb the horrible pollution. 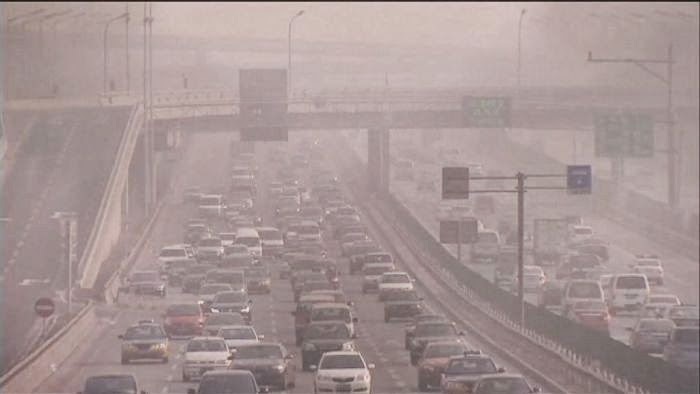 Government in China has declared the war on pollution and what could be a better weapon than Tesla Model S? If you can afford it, you will be going to battle every day in style. Tesla Model S will not become the weapon of mass pollution distraction in China yet, but it is the very important step. Network of Superchargers and Tesla Model E for the mass market will make the real difference. The very important note is that Tesla does not qualify for a lot of subsidies in China including the EV license plate. Elon Musk has already floated the idea of production facilities in China and it can make Tesla the real success on a mass market scale. He will has to consider the dangers of copycat copies of Tesla technology in exchange for the Chinese mass market entry, but reverse engineering can be done even now and this market opportunity is definitely worth the shot. What's It Like To Buy A Tesla In China? We always advocate for more affordable Electric Cars. Now Tyota i-road has made it from the concept car to the road demo. Will it make it in numbers? Renault Twizy has not made it to the mainstream urban community so far. Toyota i-Road could be appealing to the larger audience. Just look at the road in the morning and how many cars are going with only one or two people inside. For the urban commute in megalopolis this kind of Electric Car can offer the real solution: no pollution and less parking space needed. It could be particular interesting in the form of Electric Cars for hire. And needless to say that the pricing point must make it affordable for mass market consumer. Better Place idea: that we can consume mobility as we need it can be closer to reality now. With ongoing pollution disaster in all major cities across the world it could be the real solution and another catalyst for the electric cars and lithium batteries industries. Robert Liewellyn is obviously having a lot of fun testing Tesla Model S. We are not so sure about his passenger, but he must get used to it already. Electric Cars are not toys any more - this is main message from this video and UK is destined to become the Capital of the world for the electric cars. So far progress is very slow, but coming Tesla Model S and Network of Superchargers will do the trick. The real irrevocable change will happen with Tesla Model E on the road. Meanwhile the industry prepares for the major surge in demand for Lithium Batteries for Electric Cars and for Energy Storage Systems to make Solar and Wind Power fully integrated in the modern grid system. We are following International Lithium here with its strategic partner from China Ganfeng Lithium. Elon Musk with his Tesla Gigafactory has brought a lot of attention to the Lithium strategic commodity story and Asian companies are coming into the spotlight as well now. LG Chem is talking about building major Lithium battery plant in China and Lithium Materials Industry is getting the green light from the Chinese government in its efforts to curb the horrible pollution. 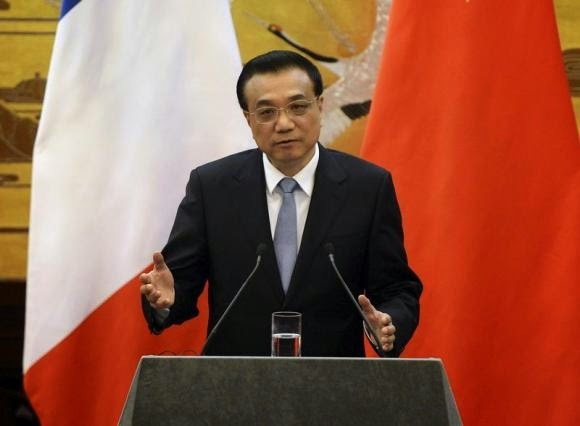 Very quietly Chinese companies have been taking Lithium Materials Industry by storm using the favourable financing and trade conditions with the full support of the government state-level program. Maybe you never heard the names yet, but Ganfeng Lithium is the world wide leading producer of Lithium Metal and is rapidly expanding its business. Company has raised new capital last December by over 80 million dollars and has completed major transactions with International Lithium from Canada a few weeks ago. Approximately 20 million dollars will be invested in two project for potential future supply of Lithium. We can witness the vertically integrated Lithium Business in the making now. Ganfeng Lithium new state of the art production facilities are coming online this year with 25 thousand t of Lithium Carbonate equivalent. It is the very impressive number as total world wide demand for LiC was around 150 thousand t last year. Company moves into Lithium Batteries business as well with its battery assembly line. International Lithium from Canada has built a very impressive portfolio of Lithium projects spanning the globe from Argentina to Canada and Ireland. After very comprehensive due diligence process and initial exploration Ganfeng Lithium is buying into the ILC projects with two major investment programs. 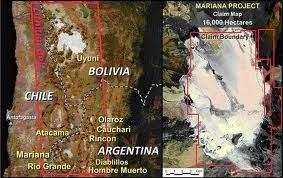 Both projects Mariana Lithium Potash Brine in Argentina and Blackstairs Spodumene Lithium project in Ireland will receive 10 million investments into development. Analysts are still trying to understand the Lithium Supply Demand picture and its watershed development with Tesla Gigafactory news, International Lithium is already busy to prove the resources and their economic potential on its projects as Demand from Ganfeng Lithium is already there with off-take agreements in place. ILC was able to clean its balance sheet in this major transaction with Ganfeng Lithium and now has only one convertible loan left of 1 million CAD due in December 2015. The conversion price is CAD0.10 and company is trading at CAD0.04 now. These 20 million investments in the projects are coming without the share dilution to ILC shareholders and company will retain interests in the projects alongside with their development. "ILC and strategic partner Ganfeng Lithium have finalized two separate agreements. The parties have finalized their joint venture agreement for operation of the Blackstairs lithium pegmatite project in Ireland and have entered into a loan conversion and investment agreement on the Mariana lithium brine project in Argentina in exchange for work commitments and the cancellation of approximately US$3.3 million in loans plus interest indebted to GFL. The aggregate work commitments on both projects is approximately $20 million." Next exploration programs on Mariana and Blackstairs are just around the corner according to the ILC news release. The recent halt of Ganfeng Lithium in China has brought our attention and after digging the Chinese websites we can understand that Ganfeng has announced the major acquisition pending the announcement. This company is moving very fast and we will monitor the situation and which part of the vertically integrated Lithium Batteries business they will bring into the picture this time. We are more than biased and interested in the successes of these two companies. Please read our legal disclaimers and do your own DD as usual. Kick the tires and enjoy the ride - hopefully in your own Electric Car. These companies will make more of them possible on our roads. TORONTO, ONTARIO - The Next Biggest Winner, a leading and nationally televised investment show focusing on small-cap and mid-cap companies, is pleased to release episode 24. Gary Schellenberg, President of TNR Gold Corp. joins us to discuss the company’s Shotgun Gold project in Alaska which contains 20,734,313 tonnes at 1.06 grams per tonne (“g/t”) gold for a total of 705,960 ounces gold (“Au”) using a 0.5 g/t Au cut-off. Ivan Bebek, CEO of Cayden Resources takes the stage to discuss the company’s option to earn a 100% interest in the El Barqueño Concessions, near the town of Guachinango, Jalisco, Mexico, subject to certain royalties. The El Barqueño Project is made up of three concessions, each at the exploration stage, with a total of 46,700 hectares. The project area is located 130 kms west of Guadalajara, has excellent infrastructure and is accessible via paved or gravel roads. Cayden’s Mexican subsidiary recently sold approximately 23% of its “Morelos Sur Concession” to a subsidiary of Goldcorp Inc. for a total of $15,744,000. Steve Regoci, President, CEO & Director of Garibaldi Resources Corp. joins us to discuss the Grizzly Property in the Sheslay Valley of northwestern British Columbia. The company recently expanded the size of the Property by nearly 50% to 262 sq. km through staking and the acquisition of the Hat East and Hat East 2 claims. The company is the largest landholder among juniors in this highly prospective, under-exploited new Cu-Au porphyry discovery area.